Welcome to the four hundred and sixty-fourth of my blog interviews with novelists, poets, short story authors, biographers, agents, publishers and more. Today’s is with science-fiction, paranormal, and romance author Sarah Pepper. A list of interviewees (blogged and scheduled) can be found here. If you like what you read, please do go and investigate further. Morgen: Hello, Sarah. Please tell us something about yourself, where you’re based, and how you came to be a writer. Without getting into the specifics, my first novel “Unspoken Lies” was a monstrosity at 174,000 words. It was wonderfully boring and had no personality. I can’t tell you how many times I revised that baby until it shined with dynamic characters, unexpected twists, and unbelievable addictive love scenes. I cut the novel in half with all my edits. Then what? I bought the “Getting Published for Dummies” book and put my nose to the grinder. After whipping up a query letter, I sent it out expecting to get loads of offers… I received over 300 “no’s” in the months to follow. Knowing I had a great premise, I sat down and really took a look at my first sentence and synopsis. If I was a surgeon, I’d have been covered in blood. With as much as I edited, altered, and triple checked the first sentence, I was mentally exhausted. Changing the rest of the letter took some convincing and loads of chocolate. Two years ago I didn’t even want to tell a soul I was writing. Eventually I told my husband and a group of select friends – but most of my hard work was behind the scenes to friends and family. Back then my goal was to get just one “yes”. Soon that transformed into wanting to hold my book in my hands. Months transformed into years. Now, I’m excited people from this country are reading pieces from my imagination. My goals shifted once again. My “pipedream” has gone international; my pieces are trickling into Canada and the UK. From YouTube trailers, to interviews, to blogging – my little writing dream has exploded worldwide. “Of Course the World is Flat”, was my grammatical nightmare stepping stone that help me land a publishing contract for “Unspoken Lies”. Morgen: Anyone who puts pen to paper or fingers to keyboard creating words is a writer. Novelist Bob Frey wrote a guest blog post for last December entitled ‘When is a writer an author?’. 🙂 Like you I always had my head buried in a book (usually Stephen King) in my teens and it hadn’t twigged that I could be a writer although for me it wasn’t spelling-related but that writing was a profession. Of course it was but I was only ever a reader back then. And aren’t the Dummies books great. I have Creative Writing and Screenwriting, although I did think the latter would be about TV as well as film but it’s about 95%:5% but still a great book. What genre do you generally write and have you considered other genres? Morgen: You have to write what you enjoy, and it does help reading it (although I have an amazing 70-something science-fiction writer in my writing group and she says she’s never read a word of it (although she’s currently reading George RR Martin so not far off, I guess). What have you had published to-date? Do you write under a pseudonym? Sarah: Of Course the World is Flat was my first novel – print on demand. It was a grammatical nightmare… but a vital stepping stone in my development as an author. “Unspoken Lies” debuted Jan 20th as my first eBook. Devil’s Lullaby will be coming out this summer, the first book in the Ringer’s Masquerade Series. It’s a teen paranormal romance series. My mouth dropped after my editor told me I wrote romance really, really well… I was thinking “yeah, you probably say that to every Jane Doe…” Then she told me she’d email the publisher and see about setting me up with a series. This was all while writing a classical mythology trilogy (with a modern twist). Already into the first book, “Forgotten” I decided I didn’t have enough on my plate and eagerly accepted contract for the RM Series. I write under the name my parents gave me. Morgen: Publishers and agents love series because readers love them, they have something to look forward to if they love the characters and the world you’ve created. Have you had any rejections? If so, how do you deal with them? Sarah: I’ve had over 300 “no’s” in the two years I’ve been writing. Agent after agent & publisher after publisher sent out wonderful let-downs, “Dear sir or madam” filled my inbox with disappointment, and countless paper cuts littered my fingers with opening rejection letters. I have to admit it was tearing me apart, so I decided to stop sending them out and “pause” my writing hobby. But that pesky imagination wouldn’t leave me alone. I decided to try again after revising my query letter. Honestly, this is a little funny, but I went on a vacation with my hubby to New Orleans and a fortune teller told me I’d have my first publishing deal within the next 4-6 months… she wasn’t wrong. Morgen: Wow. Have you won or been shortlisted in any competitions? Morgen: Oh, good luck. Do you have an agent? Do you think they’re vital to an author’s success? Sarah: I tried really, really hard to land an agent. I don’t object to them, but have been having some success without them. Morgen: It certainly sounds like it. Are your books available as eBooks? Were you involved in that process at all? Do you read eBooks or is it paper all the way? Sarah: Both Unspoken Lies is in eBook and paperback. Devil’s Lullaby (Ringer’s Masquerade Series) will be in both forms as well. While there’s nothing like cracking the spine to a book, I can’t deny the convenience of eBooks. I enjoy both. I’ve been blissfully uninvolved in the process as of now. However, depending on the route I take for Forgotten (Fate Trilogy) I’m sure the learning will continue. Morgen: We all keep learning, don’t we, such is life. If you get involved yourself and need help, I created a 9-page how to eBook handout, just give me a shout and I’ll email it to you – I’m thinking of making it a free eBook. 🙂 How much of the marketing do you do for your published works or indeed for yourself as a ‘brand’? Sarah: Well, I’m about as green as they come with marketing. Closing my eyes and praying someone reads my book is tempting but I doubt it will have long lasting results. I know many good books never really get known because of poor marketing and others that aren’t as good have taken off. I’ve started small, working with small town papers and social networking. I’ve created trailers for my books on youtube – which you can get from my website and facebook page. Eventually I was promised a feature in a local magazine Ect in Sioux Falls, SD… who knows how far I’ll be along a year from now. Morgen: It sounds like you have a great team behind you which must be a help. What do you like reading? Sarah: Sookie Stackhouse Series, Anita Blake Series, City of Glass, Hunger Games (who isn’t?). Actually, if you check out my Goodreads page you can see all my ratings and favourite books. I also have my books uploaded to that site so if you want to check out excerpts, blurbs, or trailers they are shown there too! Sarah: I was given questionnaires for all of my books. The artists have done a wonderful job creating them. 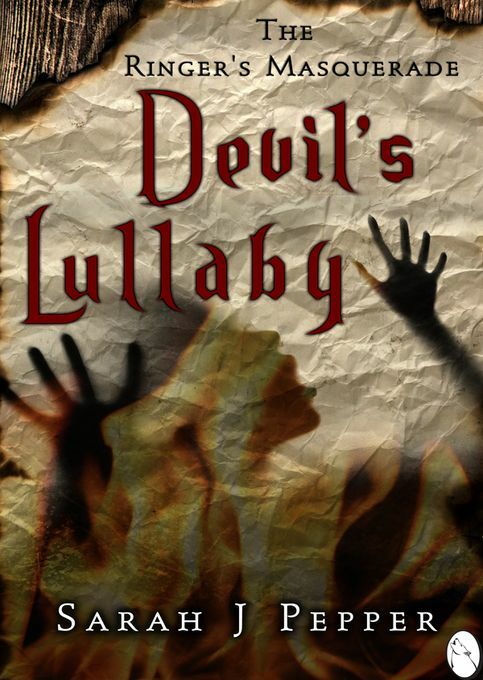 Devil’s Lullaby originally started out as Second Life… Attention grabbers like covers and titles are important to get the reader to physically pick up your book, but it’s the words inside that keep them hooked. Morgen: That’s what we all hope for. What are you working on at the moment / next? Sarah: I’m starting the editorial process to Death’s Melody, book two of the Ringer’s Masquerade Series. I’m on deadlines to start the third book in that series after this round of edits gets through. Come early fall, I want to finish the other two books in the Fate Trilogy. If I make my deadlines, which I haven’t missed yet, I’ll have completed six books within 12-13 months and debuted my first book (making it seven working books total). Morgen: Wow. Do you manage to write every day? Do you ever suffer from writer’s block? Sarah: I write everyday… I think it’s important to at least get a paragraph written, tweaked, or thought of. I put in about 20-30 hours a week, along with my full time job. Combo that with biking, roller blading, snowboarding, swimming, kayaking, golfing, and being lazy on the hammock while drinking a brewsky makes my schedule pretty tight. I’ve suffered with writer’s block twice. When this happened, I went back in my work and started throwing in detail until one of my characters finally gave me something to work with, then I continued with the piece. Morgen: That’s the best way to handle it. Do you plot your stories or do you just get an idea and run with it? Sarah: Wow what a great question. Morgen: I love that you said “wondering how my characters would work themselves out” because that’s exactly what they do, and what I love about creating fiction. Do you have a method for creating your characters, their names and what do you think makes them believable? Sarah: I use tibits from family and friends. I LOVE selecting names. I’ve let friends and family help me name my characters too. If they become involved, they are also more eager to see the book sussed. It’s so cute seeing smiles on their faces when they come to a part in the novel I wrote just for them My take is that everyone around me helped get me to this point as a writer, I owe it to them. Sarah: OOOOOOOOOOOOOO WOW Do I do a lot of editing. I trick family and friends to helping me edit too. A fresh pair of eyes is always appreciated. I’ve edited Death’s Melody 8 times before sending it to my wonderfully over-worked editor. 🙂 She’s great! Morgen: I do between three to five but then it usually needs more work when it comes back. Do you have to do much research? Sarah: I did with Unspoken Lies and found that I actually used little of what I found. But, I enjoyed learning. Overall I think it adds depth. Devil’s Lullaby involves a lot of heath topics, which I gained from my bachelor’s degree. Morgen: It’s tempting for some writers to ‘show off’ when they know a lot about something but the readers don’t usually thank you for it so it sounds as if you have a good balance. What point of view do you find most to your liking? Sarah: I love writing in first person. I connect with my character better. I’m able to put myself into Roxy’s, Catherine’s, or Gywneth’s shoes better. I’m able to close my eyes and add in senses and detail I struggle with while in third person. Unspoken Lies is written as third person – but started out as first – it was a nightmare, but it made me a better writer. Morgen: It’s all about practice isn’t it, like playing the piano or painting. Do you have pieces of work that you think will never see light of day? Morgen: I love that. 🙂 What’s your favourite / least favourite aspect of your writing life? Has anything surprised you? Sarah: I’ve surprised myself. I’m a TERRIBLE speller and struggle with understanding grammar – two handicaps for a writer. But the stories in my head insist on being noticed. Morgen: That’s great! What advice would you give aspiring writers? Sarah: Never give up. My first book was 174,000 words long and horribly boring. I adapted and edited until my fingers were sore and cracked. If you are serous about wanting to hold your book in your hands, learn from the “no’s” given by agents and publishers. Hunt down that “yes” until you’ve “tricked” one into taking you on. Morgen: A successful writer is one who didn’t give up. If you could invite three people from any era to dinner, who would you choose and what would you cook (or hide the takeaway containers)? Sarah: I’d pay off my sister-in-law to cook something delicious for me. I have a little thing for “Eric Northman” so he’d definitely be invited… but I’d like to sit down and have a chat with Chuck Lorre, and even Charles Dickens – Shoot, maybe I should invite a girl? How about Jane Austen? Morgen: You don’t have to but I bet she’d be interesting. I had to Google Eric Northman. He looks nice but a bit skinny, but then I like David Tennant. 🙂 I didn’t know Chuck Lorre either but loved Cybill (the earlier series anyway) and Dharma & Greg. Is there a word, phrase or quote you like? Sarah: If all else fails, be unforgettable to yourself – my mom. Morgen: I like your mum. 🙂 What do you do when you’re not writing? Sarah: Anything outside – I still am passionate about being a gym rat and love being active… just about as much as I love chocolate. Sarah: LinkedIn – join the groups. I’ve gotten more marketing advice from those site than anything else. However, “Getting Published for Dummies” was extremely helpful with getting started. Morgen: LinkedIn is great. Back in the spring I was running low on interviewees so put a shout-out on LinkedIn and have been booked solid (currently to April 2013) ever since. Are you on any forums or networking sites? If so, how valuable do you find them? Sarah: Well, Facebook, linkedin, twitter, and goodreads are basically the basis of my marketing – so extremely valuable. Sarah: Depends on the writer. Sarah: Barnes & Noble and Amazon. New Concepts Publishing. My website and facebook page. Sarah: Your reason for writing is your own – the monkeys on the cheerios in my head won’t leave me alone. More than anything writing gives me a sense of purpose and something to be proud about. Morgen: Isaac Asimov is quoted as saying that he equates writing to breathing, that he can’t stop and I know exactly how he feels. 🙂 Thank you, Sarah. Sebastian’s haunting gaze seemed to penetrate my very being revealing my secrets, fears, and desires. My name rolled off his tongue, tempting me to take exactly what I hungered for. His world was laced with agony and inconvenient truths, whereas mine was saturated with sweet, beautiful, carefree lies. Sebastian promised me nothing of a happy ending. The demonic spawn with an angelic voice could derail my only purpose for living, but still I hesitated to look away. My curiosity would certainly be my undoing–but then again, death was inevitable. Created to die, Catherine’s fate never veers from the surgical death awaiting her next birthday. As a soulless spawn, she’s utterly obedient to all of the Ringer’s demands in hopes to fulfil her only purpose for existence–to be the perfect organ donor for her terminal progenitor. Although Catherine hasn’t ever met her progenitor, an unexplainable, impossible bond ties their lives together, forever. Wondering if anyone would believe the bed sheets were holding her hostage, the sleep deprived faie buried her head deeper into the pillows; however, it did little to drown out the family of blue jays belching their morning songs directly outside her balcony: persistent little varmints. Hummingbirds zipped around the honeysuckle vines that had been strangling her balcony rail for the better part of a century. Light bounced off the white stone walls forming hundreds of rainbows throughout the room making it impossible to sleep in much past sunrise in Faierie, a world most well known for the faies’ two dominant courts. Seelie faie recognized for their illusionists, and Unseelie faie coveted for their extraordinary senses. Sarah J. Pepper lives in South Dakota with her real-life prince charming. At a young age, she fell for paranormal books and now incorporates that genre with romance that thrives in the hearts of us all. When she’s not storytelling, she’s most likely biking, hoarding chocolate, or taking a bubble bath. 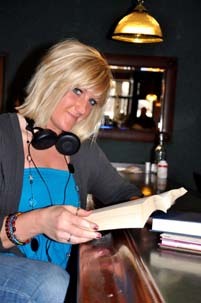 Get a glimpse inside her head at http://www.peppersreadingcorner.com and http://www.facebook.com/PepperSarahJ. 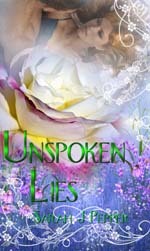 Buy Unspoken Lies at http://newconceptspublishing.com/sarah-pepper.